Fall is in full swing in Seattle. The trees are putting out their final color display before November winds will strip them down in preparation for winter. As trees and plants are actively storing energy into their roots, it is similarly a time for us, humans, to get grounded and rooted. One way to do that is to choose comfort when picking out what to wear for the day. 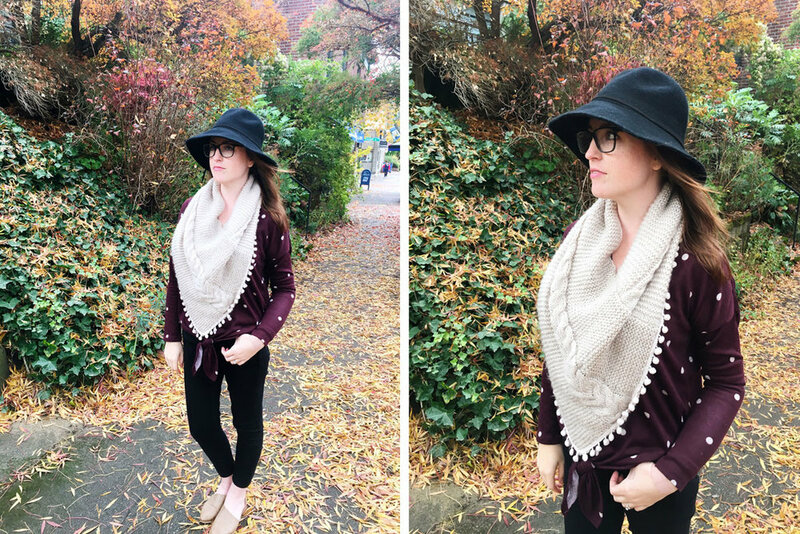 Treat yourself to a cozy sweater that will boost your mood and keep you comfortable on the commute to work. Pick out a pair of jeans that will fit and flatter, giving you that extra boost of energy when it's gray and cloudy outside. And with the gray skies ahead, dare yourself to be a little bolder - get yourself an item that won't be black, grey or brown. Opt for olive, burgundy or a warm mocha. Just wait and see how a little color will reflect on your cheeks, making blush unnecessary and lifting your mood without you even noticing. Meadow is full of new and lovely items that can fit both the need for comfort and style. 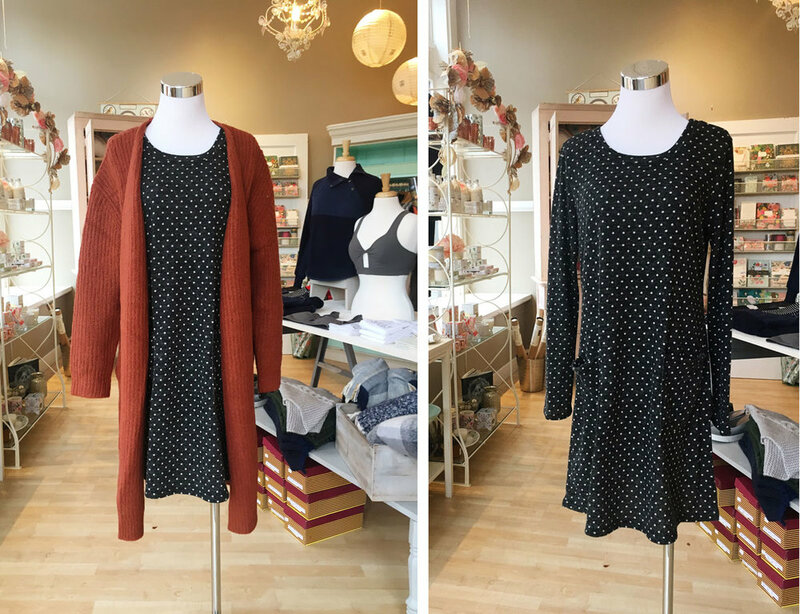 Besides the array of new colors of our bestselling Dreamers sweaters, we have put out beautiful mock neck loose sweaters, cozy and warm dresses, sweater cardigans for layering and many more things we would love for you to see. Did we mentioned we got Fall hats in stock too? Take a look at these different styles, both wide- and narrow-brimmed, ready to warm your ears while making you look terrific. Not to mention that we are gearing up for the holiday season and all the fun holiday parties you will be attending. 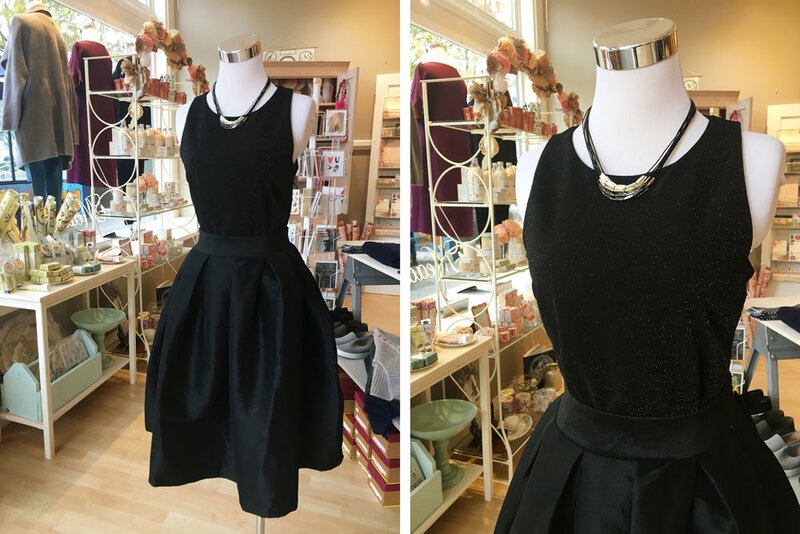 We are ready to be your go-to source for dazzling dresses, beautiful glittering tops and even a shimmering jumpsuit that will make you sparkle on New Year's Eve. Come see the sparkle in person as the pictures really don’t do justice to these fabulous items. Speaking of the holidays, don't forget we have lots of unique and one-of-a-kind gift items for that special someone in your life, be it a sister, a mom or a best friend. Peruse our collections of jewelry, paper goods, bath & body products and much more. Last but not least, don't let our shoes get lonely without your attention. 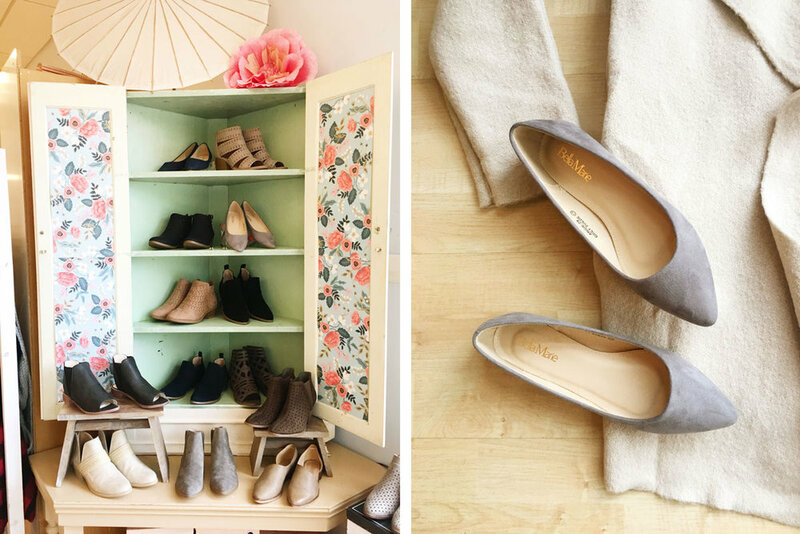 We have so many booties and flats in stock just in time for the season. Make sure to give these items a thorough look when you drop by this weekend. We hope your weekend is full of comfort and rootedness. We look forward to seeing you at Meadow.